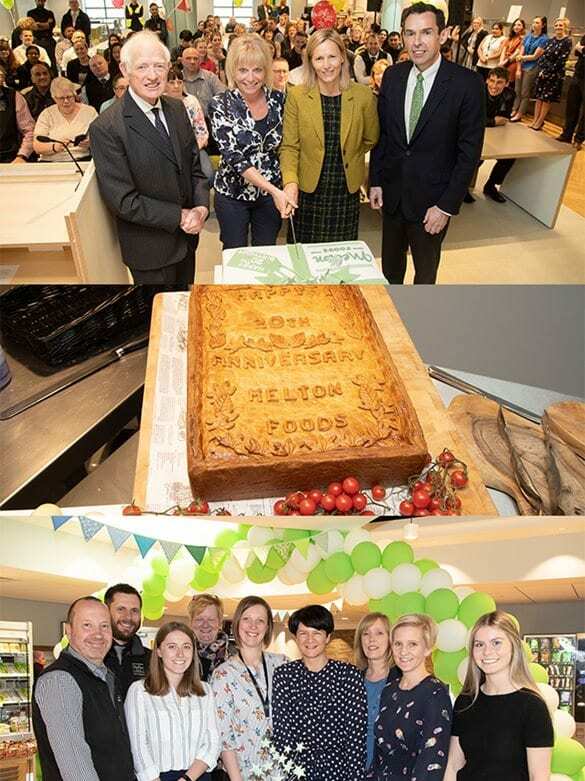 Melton Foods celebrated its 20th year anniversary recently with a week-long series of events for staff. Operating since 1998, Melton Foods employs over 700 people across a number of manufacturing and office functions, and is well known in the food manufacturing sector for its technical integrity, flexibility and manufacturing excellence. The business has gained many industry accreditations and awards such as Investors in People and British Retail Consortium Grade AA+, and is an active member of the British Sandwich Association. The 20th anniversary week saw an array of fun-filled activities such as a ‘Carnival day’ for staff with an assortment of fairground stalls. Melton Foods also hosted a ‘back through the times day’, with the team creating a Melton Museum showing off original overalls, old machinery and skillets and featuring an array of old photographs. The penultimate day saw a VIP day for the 14 original staff members from 1998 that are currently still working for the businesses today. The special guests were invited for lunch with Sir David Samworth and Samworth Brothers Group Chief Executive Flor Healy, followed by planting a commemorative tree (donated by L.B Landscaping Ltd) and the unveiling of a memorial plaque in a newly planted 20th anniversary garden.